If you have watched TV or are on social media in the last year you have probably heard about this young man... Minh Duong. A young man who came to Australia as an International Student.... looking for a better life and a good education - only to be confronted by the worst of what Australia has to offer. Bloom Entertainment by Design are excited to support Adrian De Luca and Minh Duong in an upcoming 3 night theatre performance - showcasing Minh's journey in Australia, through expressions of music, story telling and dance - exploring the negative and positive battles of Minh's Australian experience. You will be entertained by a professional cast of performers, have insight to a story that touches on racism, hope and community, as well as raising money to assist Minh in his ongoing treatment. 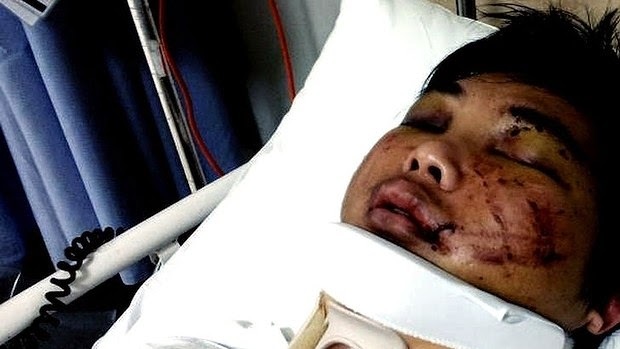 Minh Duong, A Vietnamese student studying in Australia, was walking home after working a shift at a 7-Eleven store in 2012 when he was brutally attacked. Three members of a Neo-Nazi group bashed Mr Duong with a brick using such force that the brick broke in half, and left him to die in the gutter. Minh Duong was taken to hospital in a critical condition and, remarkably, survived the unprovoked attack. Adrian De Luca watched Mr Duong's story on the news. Adrian was touched by what Minh had been through and felt compelled to help in whatever way he could. As a musician, Adrian understood the healing power of music. He contacted Minh and offered him free music lessons, telling him that “music will make you feel better”. Minh Duong accepted his gift, reflecting later that this act of kindness changed his life forever. After the attack Minh had lost all confidence. “I felt sad and depressed, with no hope”, he said.... until Adrian came along. Adrian says that the reason he teaches music is to change lives and bring hope. Music is leading Minh to find peace, and trust in humanity again. He is learning to “keep hope, keep trust, and say no to racism”. Adrian encouraged Minh to continue his studies when he wanted to give up and return to Vietnam. However, Minh’s studies came to an abrupt halt when the Department of Immigration unexpectedly cancelled his student visa and banned him from re-entering Australia for three years. Adrian recalls walking through the airport with Minh quietly sobbing and saying "I can't finish my studies". Adrian made Minh a promise that he would get him back into the country. Adrian began a twelve-week battle with the Department of Immigration; Minh’s case was shown on national television several times, the battle to bring him home began. Friends, the Australian community and performers pulled together to show their support. Then Adrian began a petition for the reinstatement of Minh's visa, collecting 89770 signatures. The Australian Minister for Immigration and Border Protection, Scott Morrison, then personally responded to Minh Duong’s case. Minh was granted a new visa and, on March 1 2014, returned to Australia to begin his final year of the Bachelor of Accounting. The Minh Duong Story will run for 3 consecutive nights - July 10, 11 & 12 at the Mechanics Institute. The performance will incorporate music, storytelling and dance with feature performers Lorenzo Iannotti & James McNally. We would love to see you there... and to have you be apart of this amazing journey with us.